Description: After listening to or watching a lecture, retell the lecture in your own words into your microphone. Part 1: 40 to 60 seconds to listen to the lecture. Take notes in Erasable note board simultaneously while listening to the lecture. And then we have 10 seconds to structure the content whatever taken in the erasable notes. Difficulties: Unknown topic, complex words, speaker accent, unable to take notes. Part 2: 30 to 40 seconds to retell the lecture. Difficulties: Sentence formation, Intonation errors, and Pronunciation errors. How to Retell Lecture In PTE ( Academic) exam? 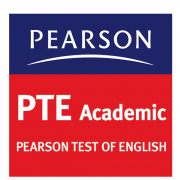 on which form of the PTE Academic you are given. There will always be at least three lectures. You will have 40 seconds to retell each lecture. • Study the picture if there is one. It will give you a general idea about the context of the lecture. From the picture, try to predict what the lecture will be about. You will have three seconds to get ready for the start of the lecture. • Take notes. Use the erasable note board Booklet and pen provided. Do not try to write down every word you hear. Unless you are able to write quickly and accurately, you will probably fall behind and miss important information. Instead, focus on key words. • Writing quickly is a key skill to master. Use abbreviations whenever possible. Ignore articles (e.g., a, an, the) unless they are necessary. Omitting the vowels from words is one way to increase writing speed. • Key words include names, numbers, dates, times, and words and phrases that are stressed. Words and phrases that are repeated are usually central to the main idea. • Focus on understanding the main idea of the lecture and the key points that support it. If the speaker draws a conclusion, be sure you have identified it. ‘Iry to identify the overall purpose of the lecture. • Listen for clues to the speaker’s attitude, opinion, or stance. Be aware of the speaker’s tone of voice and delivery, and try to detect any emotions that are being conveyed. • When the lecture ends, you will have approximately 10 seconds to review your notes. Use this time to organize what you will say. When you hear the tone, begin speaking. You will have 40 seconds to complete the task. off, you cannot turn it on again. Retelling (for example, an instruction, event, story or a lecture) is a widely-used skill in everyday life as well as in a work situation. When we retell, we usually summarize by compressing what we have heard, read or seen into a shorter text (for example, retelling the plot of a two-hour movie usually takes a few minutes). The purpose of this activity is to help learners select the most important ideas or information and retell them in a coherent way so that a listener can get the gist of the story or event that is being retold. This involves selecting which ideas or information are important and rejecting detail that may be interesting but is not relevant to the main ideas. To get the good score, do practice repeated questions.